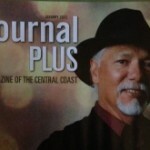 Louie Ortega appears on the cover of the latest issue of Journal Plus magazine. In the interview Louie talks briefly about his career and “Rio Salinas”. Skip up to page 18 for the story. Check out the full issue below. A quick tune and interview with “Human Nation” at the local NBC affiliate KSBY. (sorry about the Ad). My Right Hand on the Today Show!